YardEdge talks to Sheila Graham, Founder of The Area Youth Foundation, about how the arts can transform lives in the inner city. YardEdge: What is the Area Youth Foundation? Sheila: The Area Youth Foundation is a charitable, non-governmental organization which, since 1997, has been changing the lives of young people and building bridges of friendship between the divided, marginalized communities of Kingston. YardEdge: How and when did it get started? 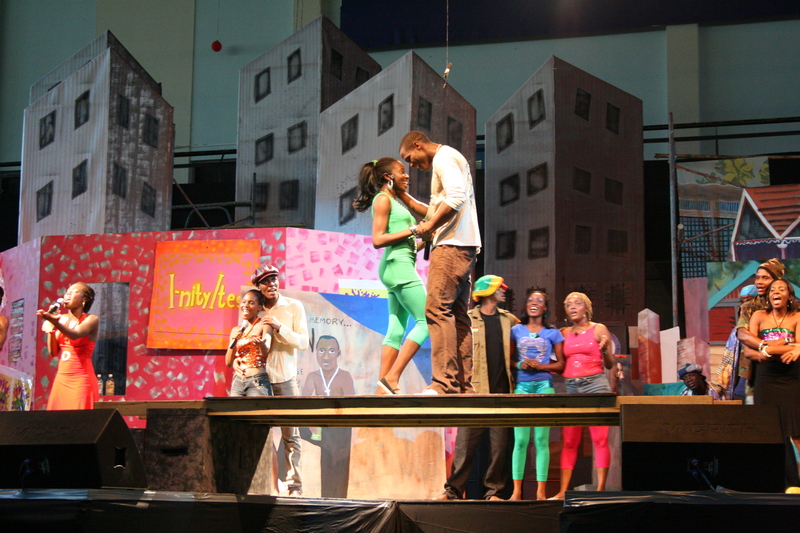 Sheila: AYF evolved out of a project of the (now defunct) theatre production company TCL (The Company Limited). 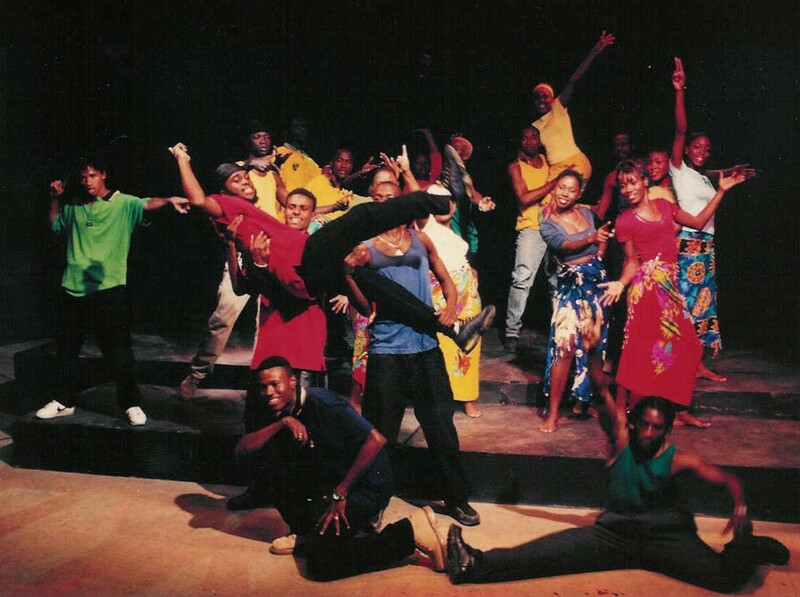 In 1997, I was Managing Director of TCL and the company undertook to produce Nigerian Nobel Laureate Wole Soyinka’s “Beatification of Area Boy” and stage it at the Ward Theatre in the heart of Kingston. 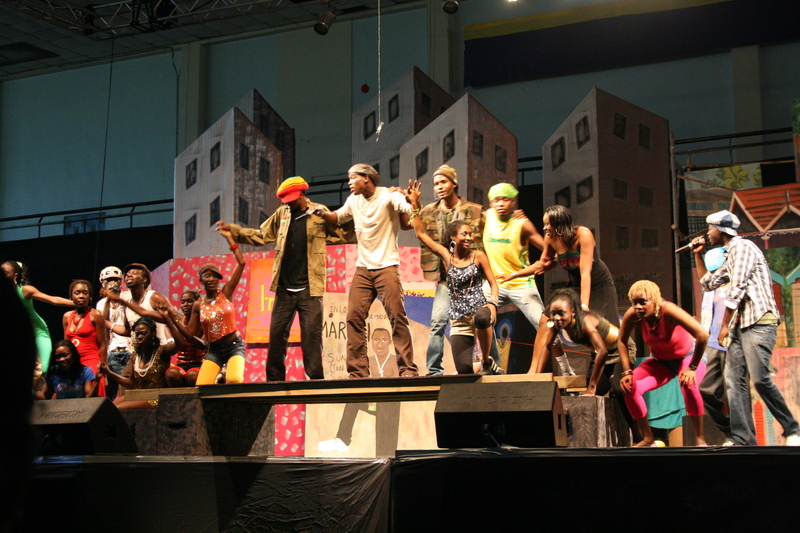 The production presented for TCL an opportunity to bring to the inner-city a work of art of the highest standard, one which, with its origins in “mother Africa”, we hoped would magnetize the young people of inner Kingston, and particularly the young males. 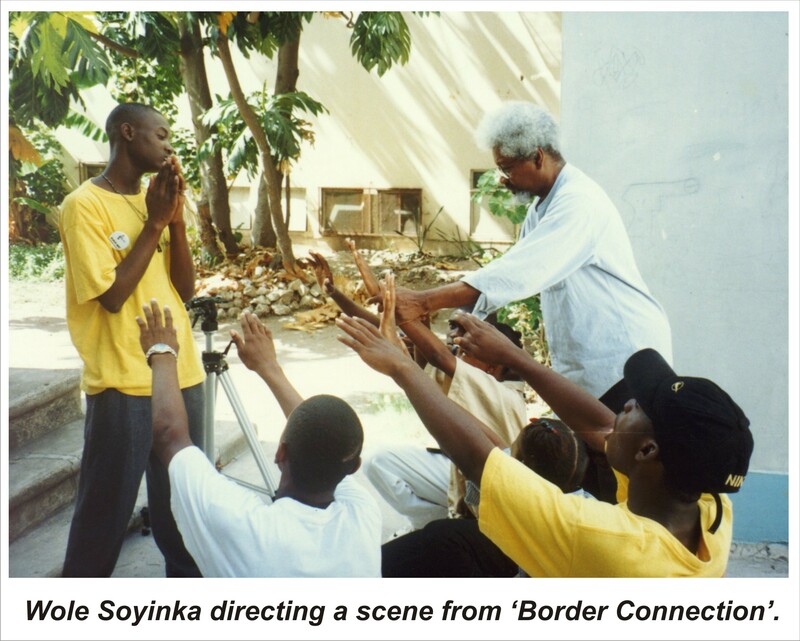 On that basis, we set out into the “war zones” and soon had recruited one hundred teenagers and young adults into a five month period of preparation that would seek to develop character and build artistic skills for display when Soyinka returned in July 1997 to hold auditions. The Area Boy Project was created carry out these plans. When “Beatification” closed in November, the project was deemed to have ended and a “graduation” was held giving certificates to those who took part as trainees. 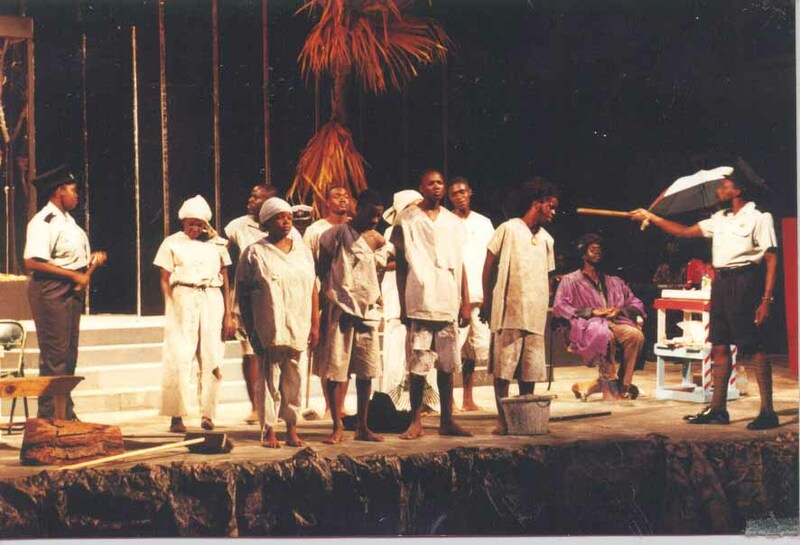 An unforeseen development was that persons who saw “Border Connection”, never intended for more than the one performance, began asking for it to be performed for important civic events: Emancipation Day, Independence, the Norman Manley Award for Excellence. 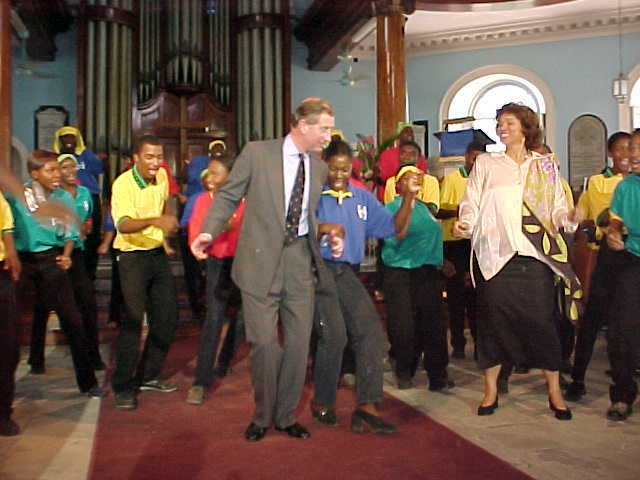 The project directors were forced to regroup the young people and rehearse them to perform on these occasions. Parallel to this, and unknown the project leaders some of the young people, led by James Bell (now AYF’s General Manager), unwilling to accept that the project had ended, continued having meetings at the same venue and had even decided to create their own newspaper.These circumstances led the leaders to continue the project and the Area Youth Foundation was born. YardEdge: What are you trying to achieve? Ultimately, the programme aims to produce leadership cadres able to influence in a positive way, the nation’s growth and development. YardEdge: What are some of the major achievements of AYF so far? Sheila: First and foremost, the 500+ direct beneficiaries of its programmes – the young people who have seized the opportunity to grow, learn and make a positive contribution to their society. Against the backdrop of the city’s high levels of crime and violence, and its inner city’s often fragmented, warring communities, the AYF’s success and impact lies in its ability to harness the expressive arts as educational, social and cultural development tools to stimulate personal development and behavioral change; advance the imaginative talents of excluded people in the creation of democratic and inclusive societies; and carry out programs for violence prevention and the promotion of healthy lifestyles. The AYF’s outreach programs have included an unprecedented community sports and cultural celebration that brought the troubled communities that flank Mountain View Avenue together after violent local elections of 2003; collective mural creations in some of those very areas; and an All in Pictures Project that involved mostly young men, gathering to create photo-novelas around themes of their choosing (HIV awareness, unemployment, and drug and child abuse). 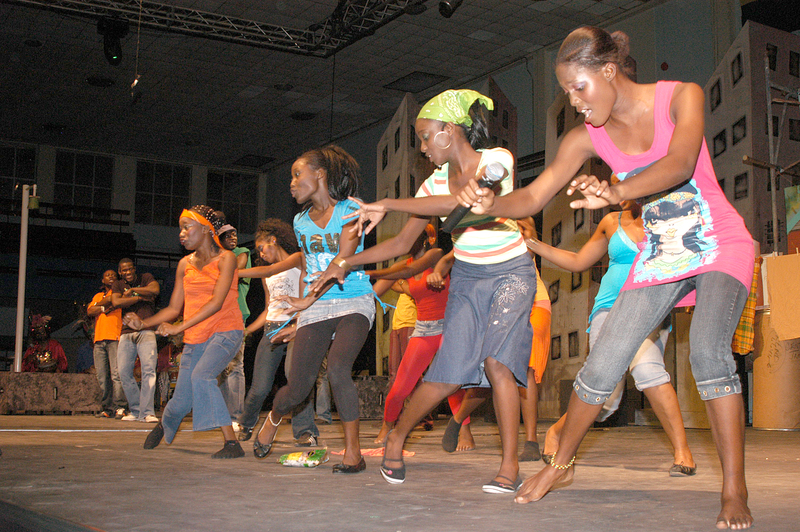 The organization has a performing company that produces live theatre, music videos, docu-dramas and documentaries. YardEdge: What have you enjoyed, not enjoyed? Sheila: I enjoy watching transformation. I see a lot of that as I work with the young people, their families, their communities. It is very rewarding to see motivation replace resignation, hope dawn where there was only despair, self-esteem replace self-deprecation. What I do NOT enjoy is the difficulty in raising funds to do our work. I’ve also repeatedly sworn I’d NEVER go on tour overseas again. That is extremely stressful. On the last one, the whole company came down with chicken pox. If we ever travel again, it will have to be with a tour manager – not me. YardEdge: Are you happy with the level of success you’re getting? Sheila: We are happy with the quality of our work, we are happy with appreciation it receives. I am not happy that the potential to be really effective is stymied by lack of financial support. YardEdge: What have been your biggest challenges? Sheila: To see young people succeed. YardEdge: What are the plans for the future? Sheila: A permanent home with a purpose built performing space; an endowment fund that we can invest and have to meet the recurrent expenses that grant funds never want to cover; to see the long-planned Area Youth Academy come about; to make a movie of our musical. YardEdge: What kind of help do you need? How can people get involved? Sheila: We need an active, dynamic support group of folks who share our vision and are willing to commit time and talent to seeing the Foundation achieve its full potential and make the kind of positive impact on the society that it is capable of making. Sheila: I want to thanks the hundreds, yea thousands, who have believed in us, trusted us with their young people and shared generously of the little they have. They have made it all worthwhile. for to keep it sensible. I can’t wait to read much more from you. to obtain most recent updates, so where can i do it please help out. 3. that it would be valuable if you could point to specific success stories. To us who believe in the arts as a way of discovering the ‘celebration of self’ in all of us, this seems to be obvious. However, if it would not be intruding on the privacy of the participants, it might be a good idea. So, don’t give up the vision, even in the face of chiken pox on tour. Unbelievable, eh! And I really wish that we could find some way of accessing sustainability for all the worthwhile projects which would make such a difference to the young people of our country, and by extension, to the future of the country itself. Maybe some of you reading this might come up with an idea. This is great work that the Area Youth Foundation is doing. I have never seen the work but I look forward in getting that chance some day soon. Keep up the good work Ms. Graham and Mr. Bell. I was very impressed by what I read here. I must confess that I didn’t realise the huge impact that the Area Youth Foundation was making. I think it’s wonderful! Sheila, you have always been such a powerful and positive soul and I truly wish you and the Foundation all the success, support and funding you most definitely deserve! Brilliant work–A formula that needs to be widened. I will give it all my support! One day the Area Youth Foundation will have a permanent home. From personal experience I know that this has been a vision of Ms. Sheila Graham for quite some time. I eagerly await the fulfillment of this dream as I know it has life changing potential. Congratulations on sticking to your project and the good work you have been doing. I know how hard it is to get funding when there are so many persons going to the same small pool of progressive donors but do not give up. You are doing an important work in trying to keep parts of this country from disappearing as a result of violence and every young person who is saved by your activity is a success that needs to be replicated. Ms Graham is absolutely right. AYF has impacted many young people. I am certainly one of them. As i look through these pictures, I am reminded of the fact that this was one of the best periods of my life and that my success and the person that I am today can be in many ways attributed to that. AYF provides a medium and is really a great distraction from all the negative things a youth could be involved in while living in the inner city. Many of us (area youth participants past and present)joined at a critical time in our development, a time when many of us flirted with danger. By being engaged in such a programme however and having to report to rehearsals, performing in shows etc.,our lives changed for the better. The challenge was, and still is, the lack of funding. Beautiful photos and some good memories of those early days of getting things off the ground back in 1997! Testimonies like Marlon Smith’s are important for convincing potential funders and of course there are more great stories of success by ‘graduates’ of AYF. Sheila, for those of us who’ve been working in violence prevention for countless years, we have to just continue to take heart from the small achievements we see.The political/corporate will (in Jamaica or globally) isnt there to really change the ‘system’ – too many big people profiting too much from the violence that mostly affects ‘little’ people. Tragic and true but it doesn’t stop us doing our work. Congratulations on your achievements and for hanging in there. Young West Indians in the UK will be inspired by your work and I am sure Fishing Rod Experience and Area Youth will work together in due course and bring the Jamaican diaspora together. Lets get some funding for a proeject! This is important development work. The medium is theatre, however, AYF’s sustainability depends on promoting itself as a social safety net. It should seek funding on that basis. Congratulations and best wishes to Sheila and AYF. I sent one–too long, but heartfelt. Cleveland Public Schools has one school which is dedicated to educating young people in traditional as well as “The Arts” classes. In fact it is called Cleveland School for The Arts, although it is totally part of the public school system. It is able to receive funds apart from and in addition to CPS general funds. persons opportunities and allow them the opportunity to improve their own lives. Sheila has truly performed “magic” and touched in a positive way so many lives. and cared deeply for all Jamaicans, would be thrilled with your work and caring, Sheila. Thank you for all of us. is so much fun and joy connected with the enormous efforts of all of you. When I read the interview, what struck me the most was your “passion”. That kind of passion spurs the determination that I know you have. It makes me proud of “where I was born” and also instills hope, because without hope, there is nothing. This is the sort of program that is needed in many parts of the world including my own local neighbourhood in Scarborough, Canada. There are many wealthy corporations who could open their eyes and view the Area Youth Foundation as an investment in the future. Today’s Youth are our world’s future whether in Jamaica or anywhere else in the world. Partnerships can be formed and goals be accomplished. I hope that someone will step up to the plate and take this on and realize how many dreams can come true with the investment of just a few dollars in a world where money is wasted everyday!! Thank you not only to you, but all of the people involved in the Area Youth Foundation for giving us all hope to continue on. When I read this I just keep thinking of how projects like this often get forgotten and then new ones emerge (nothing wrong with that) and the former gets tossed. Area Youth must continue… my studies here are in educational theatre for colleges and communities and I would love to be able to research and aid in someway with documenting the journey of the group thus far. If it’s already being done – that’s fine. In that case I will only ask permission to refer to the group in my work at NYU. Let me know. This is excellent work that the AYF is doing. As part of the JADA and Actor Boy Awards/ITI Jamaica Committee, we are very much interested in knowing what is going on with AYF. Having just come back for a conference on Theatre in Spain, we found that there are lots of opportunities for our Jamaican theatre companies – and espacially younf people – to participate in Festivals around the world. I look forward to us having some meaningful discussions on this with you. Take care. Hail up Sheila!! I am impressed with the achievements of the AYF Your stewardship has been an example to a number of people including myself. I am sure you know the work we do at the Multicare Foundation. hopefully we will be able to work together in the future for the benefit of the peoples of these inner-city communities. Life!! It’s definatly what you make it, but not everyone get the tools they need to shape it. What you see is what you get from an inner city youth “raw data”. And that youth was I Marlon Smith AKA Seek. I, like a lot of young inner city youths was crying out for the tools to make that discovery, And at 17years old, Jah bless me with the Area youth foundation who for the first time give me the tools to shape my life. And for that, one (My) life will always have its flames burning. Area youth Family love and blessing, And I hope the people with the money will read and understand that AYF give me some thing that will stay with me for life. I admire your spirit of persistence and admire even more the vigor and drive of your young people. AYF is a real testimony to what can be achieved if someone just takes the lead to focus our young on positive things. I believe Jamaica has a great future with people like you working with our young – helping them to bring out the best in themselves. I will help in any way that I can. Walk good! Surviving thus far means you must be doing something right. Hold on to your vision despite the difficulties. The work you are doing is important and that will prevail in the end. The culture of the Caribbean is one of our richest resources and needs to be promoted for the economic and psychological well being of all the people. Congrats on your success thus far and for this interview on yardedge.com. AYF To de worl. Having just finished working with SG and AYF on the ‘A Mountain View’ documentary, I clearly see the passion she brings to the inner city predicament and it’s resolvement. This kind of progress needs expanding with creative cells of kids from all the warring zones.keep up the good work SG and everyone look out for the exclusive 2 part documentary screening on CVMTV. It’s time for Area Youth to get more recognition for its excellent work. Don’t be discouraged, keep trodding on. Your idea for a TV show that you described at the ScriptWriting Seminar last weekend, should give you the big break you deserve. I have been blown away by every AY Krew performance; I have been continually moved and motivated by the positivity, potential and talent of the AY Krew. 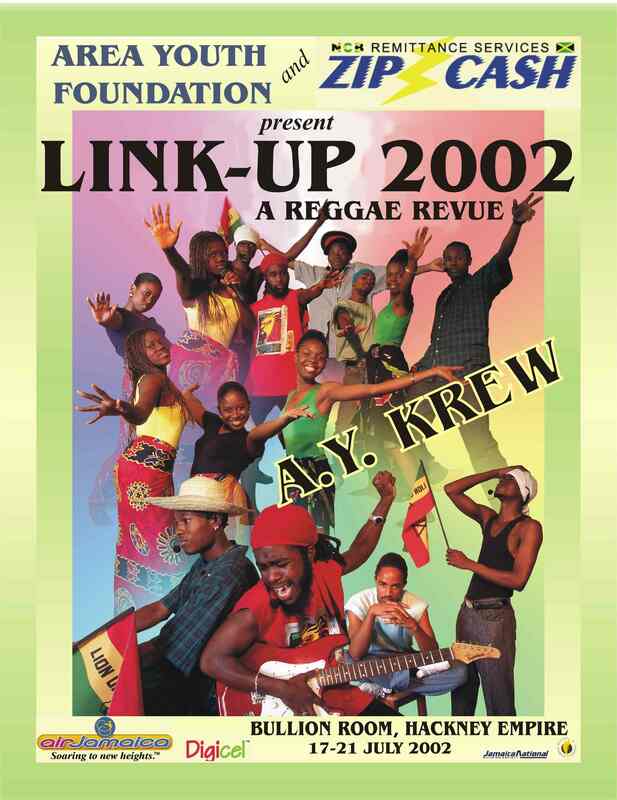 I think AYF is doing groundbreaking work that has the potential to turn around life in Jamaica’s inner cities. This work deserves to be recognised at the highest level and properly funded to create a transformational basis for our marginalised youth. Area Youth came to London to launch its sister group, Stonebridge Area Youth (SAY) in 2001 which modelled itself on AYF. SAY ran successfully for about three years before running out of cash and transformed the outlook of many of the young people who passed thru its doors. 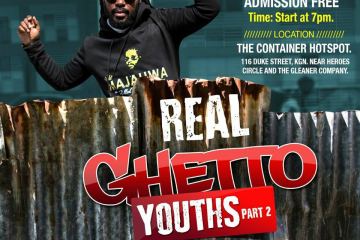 One of the hardest things is to keep on keeping on when finding sponsors is such a struggle so BIG UP AREA YOUTH and BIG UP SHEILA and its leaders. The work you do together has many positive ripples some of which no-one will ever know about except those it happens to. The fact that it is fun to do and fun to watch makes it even more important to support it. The work is absorbing, creative, skillbuilding, bonding, enabling, educational – you name it it does it in spades – all you potential sponsors out there who want to help Jamaicans build the country – this is PRICELESS. One love. I have always been impressed by AYF’s intentions and achievements and this text only confirms my feelings. I assume this text is also meant to address your biggest challenge (lack of funds); it may strengthen its persuasive power when you include more concrete examples relating to some of the participants. This would give the readers a chance to feel the results rather than only read about them. Also: I find your answer to the question ‘What are you trying to achieve?’ too formal, it reads like a piece from a document, more than a spoken statement. Congratulations to Mrs. Graham for all her work. The potential result of empowering more of our inner city youth is amazing. Public, individual and private sector support are vitally needed if this is to be achieved. The youth are our future. The youth will help us to lower crime in Jamaica. The potential results of empowering more of our inner city youth is amazing. Public, individual and private sector support are vitally needed if this can be achieved. The youth are our future. The youth will help us to lower crime in Jamaica. Congratulations to Mrs. Graham for all her work. The potential results of empowering more of our inner city youth is amazing. Public, individual and private sector support are vitally needed if this can be achieved. The youth are our future. The youth will help us to lower crime in Jmaica. Congratulations to Mrs. Graham for all her work. The Area Youth Foundation’s accomplishments are inspriring and impressive. Wonderful work, AYF! I am inspired by how your creative work in the Arts leads to deep social and intellectual learning. You deserve all the funds you need! Congrats to Sheila and the other group leaders, and to the talented members of AYF. You have created a model that can inspire social change! Thank You Area Youths Foundation,for providing an avenue for people to explore their creativity & provide a distraction from the stressful daily activities faced by residents of inner-city communities. Keep up the good work & stay focused on your mission bearing in mind that your rewards won`t come from man but the supreme being who watches over all.congrats on your success stories & be confident that there is more to come!! 2. In the paragraph under the prince dancing, the jump from “Beatification…” to “Border Connection” raises an unanswered question. 3. Typos: a) in the parag after the previous, “to” is omitted between “unknown” and “the”, while the comma after “this” should move to after “leaders”. b) in the parag after the second to last picture, “thanks” should drop the ‘s’. Area youth Foundation is one of the few organizations in Jamaic fighting for a cause, trying to bring peace in inner-cities all around Jamaica. There has been many challenges for the group but it has mamnged to change many lives, mine included and these groups are what this country needs. Young people speaking for peace through the arts and alot of inner-cities kids can relate to the arts, (singing,dancing and acting) its a gr8 mix and i wish corporate Jamaica would support us.WE NEED IT. I am a member of this wonderful group of talented Jamaican and i believe we should be bringing change to this island if you support us. Fantastic work! Big Up AYF! Keep up the good work!